The transformed "Ghost Castle" at Furuviksparken, is now home to Sweden's first interactive dark ride. The ride was an instant hit with visitors and caused a stir among the Swedish press, with many newspapers featuring it on the front page. “Spökjakten will be a great new ride for all of our guests, young and old," confirmed Furuvik's CEO Nina Tano. In an interview with Sally's VP of Creative Design, Drew Hunter explained what makes Spökjakten special to Furuvik. "Sally Corporation developed Spökjakten as a variation of the classic haunted dark ride specifically designed with the entire family in mind. Oh yes, it is creepy, but it isn’t too scary for the little ones. The attraction has an unusual, surreal style and a real sense of whimsy macabre. Kids, their parents and even their grandparents can ride and have a fun time! Also, it has the added entertainment element of interactivity, which makes it extremely repeatable which we understand is very important for the park's season pass holders. 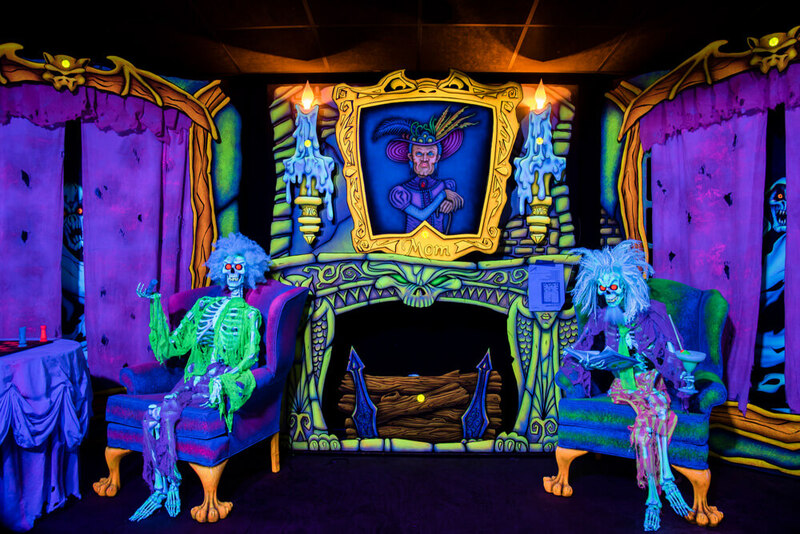 Guests will enjoy exploring the old haunted castle in their themed vehicle as they help Professor Finkelstein send the wicked Boocifer and his spirited minions back to the other side of the grave where they belong!" Click here for a closer look at the ride.